I love pancake day, it is one of my favourite days of the year. Mainly because I can eat pancakes all day and it doesn’t count as it’s calories. Shhh, I’m not listening to anyone who tells me otherwise. Plus butter/margarine or oil for pan. Mix ingredients together in a bowl, don’t over whisk. Pour into a jug and you are ready to go. Make sure you have a hot pan to start with. I substitute the flour for Gluten Free flour and they work a treat for my husband. Try using sparkling water for added fluffiness. This recipe make the lovely pancakes pictured above. My children love both sweet and savory pancakes. For sweet we like to top with chocolate spread, maybe add a few marshmallows, I like the classic sugar and lemon, I’ve also added some honey and ground almonds and hubby likes honey on his pancakes. For savory pancakes we’ve had bacon, crispy of course, the children like ham and cheese, I like chicken pesto or basil with mozzarella cheese and tomato and hubby likes meats on his pancake. Whatever your favourite toppings are, have a flipping good time. 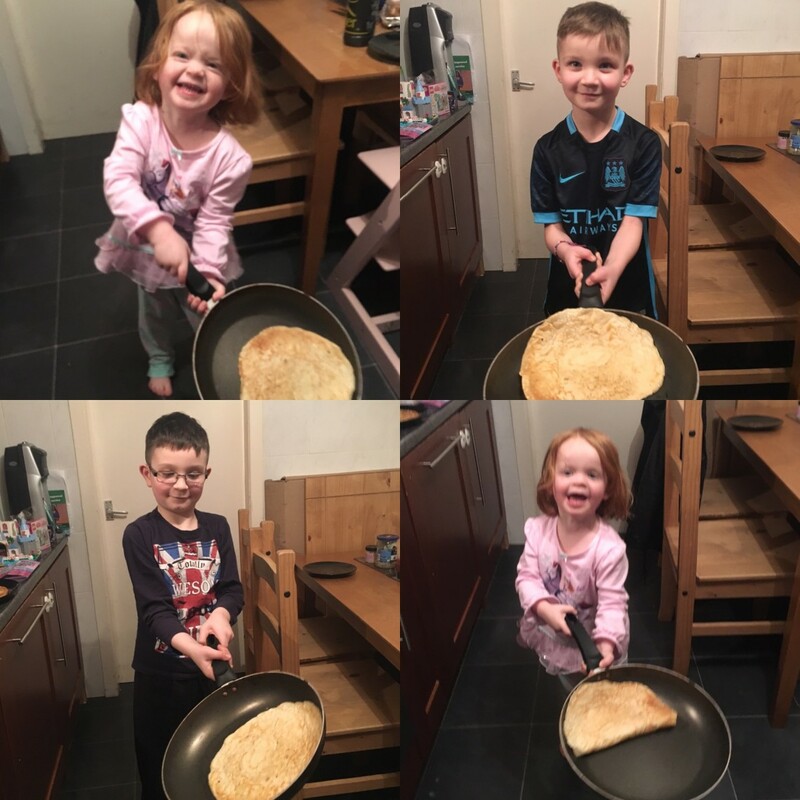 Children love to help with mixing and watching the pancake flips, but make sure they don’t stick to the ceiling like Daddy Pig’s did.